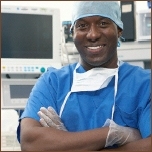 Pre-Owned, Refurbished and Used Surgical and Operating Room Equipment and Supplies. Pre-Owned and Refurbished Surgical and Operating Room Equipment. Anesthesia Machines, Boom Systems, Electrosurgical Units, Harmonic Scalpels, Implants, Liposuction Units, Orthopedic Power Equipment, Surgical Lights, Surgical Microscopes, Surgical Tables and Tourniquets.